Are You A Pirate or An Architect? There are two types of people in the business world: Pirates and Architects. Architects add value to the world. They design valuable stuff. They create great businesses and build great teams. And they make lots of money. The ultimate architect is Steve Jobs. He started Apple when he was just a kid, and took it from two kids in a garage to a multimillion dollar computer company. Then, he moved onto Pixar, creating animated movies that made millions of families happy and generated billions of dollars for shareholders. And in the last ten years, he has returned to Apple to execute one of the most amazing turnarounds in business history. On the other hand, pirates aren’t as interested in making positive difference. Instead, they focus on capturing value for themselves. It sounds selfish, and it is, but here’s the thing: it works. In the 1980s, a young pirate named Ron Perelman saw an opportunity to take over Revlon, the major cosmetics company. Perelman knew nothing about makeup, but he understood finance, and figured he could make a quick buck by buying the company, making some quick operational changes, and taking the company public. With the help of his friend Michael Milken, Perelman successfully bought out Revlon. A few years later, he had personally made billions of dollars, making him the richest man in the world at the time. This works on a smaller scale as well. I was recently talking to an entrepreneur who had personally made tens of millions of dollars investing in foreclosed homes. He was successful because he negotiated lucrative deals with desperate families, taking advantage of their tough financial situation to profit for himself. I’m not saying that this is right or wrong. It’s simply a choice. Nevertheless, it amazes me that people can make so much money while contributing so little. Perelman was not a brilliant innovator, or even a world-class manager. He was simply an opportunistic businessman who knew how to play his cards right. Even today, Perelman is more than twice as rich as Steve Jobs. It got me thinking. For awhile, I believed that people who made the biggest contributions would be rewarded the most. Clearly, I was wrong. So what actually matters? 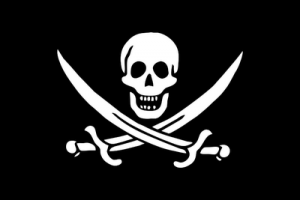 What is the secret sauce that made some of these pirates so successful? As I read more about Perelman, I learnt a few interesting things about him…and about pirates in general. First of all, pirates are amazing negotiators. They understand how to put themselves in the shoes of the other party. They have a deep understanding of any situation, and are constantly thinking about how they can turn it to their advantage. Secondly, pirates are very impatient. This may seem like a weakness, but it’s actually an unusual strength. By being impatient, pirates are constantly motivated to maximize results. Finally, pirates are extremely focused on making money. They view changing the world as a distraction, a side effect at best. It sounds cynical, and it is, but it’s this focus that allows them to beat out the competition. It all depends on your goals. If money is really important to you, then being a pirate is the way to go. Find opportunities and squeeze the value from them. You will do well if you do it right, and honestly, it’s probably the easier road to wealth. But if your goal is to make an impact, then consider being an architect. This is the only way to make the world a better place. It’s a tough path, but with hard work and a little luck, you can certainly be successful and significant at the same time. Which are you, a pirate or an architect, and why?